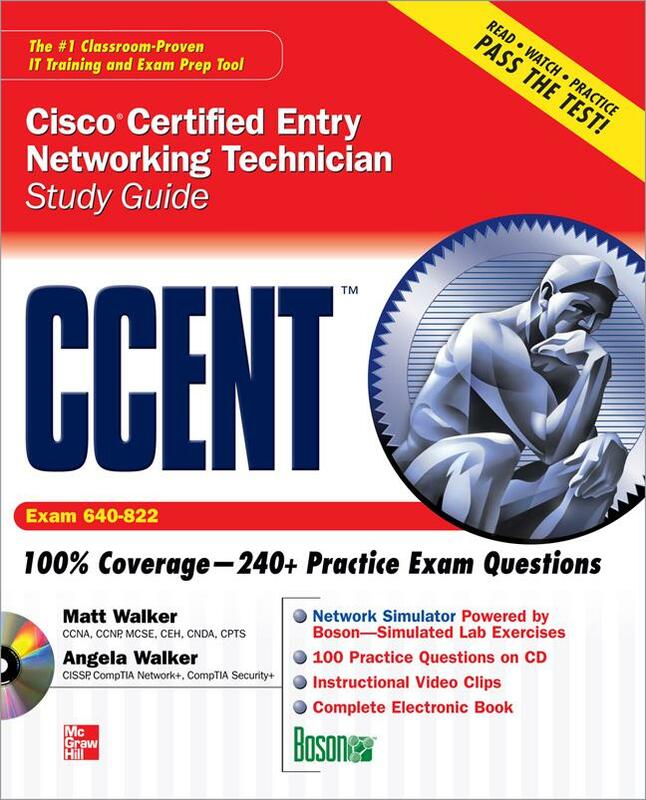 With hundreds of practice questions and hands-on exercises, CCENT Cisco Certified Entry Networking Technician Study Guide covers what you need to know--and shows you how to prepare--for this challenging exam. Matt Walker, CCNA, CCNP, MCSE, CEH, CNDA, CPTS, is the IA training instructor supervisor and a senior IA analyst at Dynetics, Inc. He served as the director of network training, curriculum lead, and senior instructor for the local Cisco Networking Academy on Ramstein Air Base, Germany. Angela Walker, CISSP, CompTIA Network+, CompTIA Security+, is a senior security analyst for Dynetics, Inc. She has developed and taught courseware worldwide for the U.S. Air Force.